this card is for CASology challenge with cue word PIE. 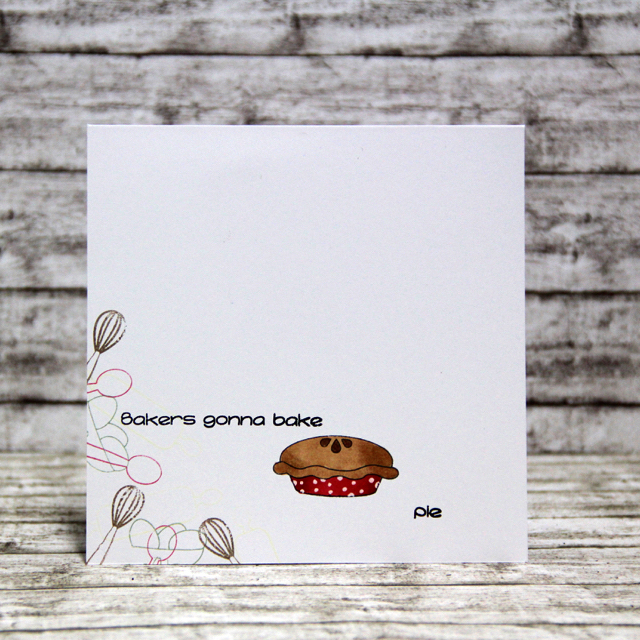 I used the newest stamp set from Pink and Main and I made CAS card with cute pie image. Kate, this is a CUTE very CAS card! Now I have Taylor Swift singing in my head… I love the way you colored that pie, so rich and deep! Thanks for joining at CASology!